So far, I've looked at fictional characters in all kinds of genres, including SciFi, Fantasy, Romance, and FanFic. But what about Historical Fiction, and writing about reality? I've often wondered about the amount of effort required to make a real person your protagonist. This kind of fiction often gets a bad name because it suffers from poor quality research, or the rather worrying trend of fictionalising real people to feed a fanatical obsession. The Channel 4 documentary, Crazy About One Direction, is a case in point. One girl describes belonging to the fandom as belonging to a cult or sect, and teens and tweens all over the UK and US are writing and posting their FF online, ranging from the original, awful, harmless, and downright disturbing. Before these fans are condemned or judged for their obsession, it must be remembered that this is nothing new - in fact, it's human nature. Celebrity culture has been in existence as long as humanity, and there is apparently a deep-seated need in homo sapiens throughout their entire history to find people or objects worthy of worship. People attach themselves to those who deeply resonate with them, speak to them in a particular way, or touch something that nothing and no one else has touched. In the distant past, the celebrities were the gods, the priests, the oracles, the heroes, the rulers, the bards. Charismatic personalities attracted great crowds of followers, whether they were prophets or kings, sorcerers or miracle-workers, dead or alive. We're talking serious devotion - from pharoah-worship to saints' cults, and from sports' teams to Beetlemania. All over the world wherever human beings have settled, hundreds, thousands, millions of us have been showing up to deify and celebrate men and women at shrines, victorious processions, halls, stadiums and central squares. If writing about real people is difficult when they are not so well known, how much more difficult is it to write about these kinds of people? Not just the fantasy versions of them, as they appear to their legions of followers and fans, but the real personalities behind the hype and the fiction, the people stripped bare? One of my favourite authors on wattpad.com does just that. Writing under her pen name P. C. James, @QueenOfTheHighway on wattpad is one of Jim Morrison's biggest fans, if not the biggest. She is also a very talented writer, and completely committed to her subject material. If you ever thought Fan Fiction was not for you, then think again. I asked her to post on her experiences of writing her books, WILD CHILD and its sequel, REALMS OF BLISS, parts one and two of 'Love Cannot Save You', and her insight, impressive understanding of her subject and meticulous attention to detail blew me away. One might think that writing about a real person versus a fictional one is easier, but in all honesty I have found over the years that nothing could be further from the truth, especially when it comes to the Lizard King himself. If there's one person who is nearly impossible to figure out, it’s Jim Morrison. Dozens of biographies have been written trying to accomplish that very thing, and they have all come up short. Of course no one is really easy to figure out, but even people who knew Jim couldn't really understand him. The man was an enigma through and through, so getting inside his head has proven to be an extreme challenge. Of course there are certain factors that have made the process easier on me. I wouldn't have made the decision to write this story at all if I did not truly love Jim. I have been writing this story for nearly four years now, ever since I was seventeen, and during that time my love and understanding for Jim has only grown. It is possible for me to write him as a character because I am like him in so many ways. How do I know that I’m like him? Well, because of all the research I’ve done. Though it is not easy to understand Jim, it is possible if you are devoted enough. Through all the stories I've heard and all the people I’ve spoken to, interviews I’ve listened to, documentaries I’ve watched and the way I’ve studied him in general (his body language, his facial expressions, his tone) I believe I have been able to separate the myth from the man, the truth from the legend. People attempted to profit off of Jim even while he was still alive-and his mysterious death only added to the false stories. Many have claimed to know the truth, to have seen a side to Jim that no one else did. But when I looked further into these claims, nothing any of these people said matched up with the known facts. There are many things about Jim that I do not know, and probably never will know. But I've taken what I have learned to be true and gone from there. Jim came across differently to everyone he knew, and while this could have made understanding him all the more difficult, it has actually proven to be the most useful bit of information that I have come across. Jim was incredibly complex. He could be the most charming, gentle, loving person you'd ever meet and he could be a belligerent jerk who brought out the worst in you. Nothing is black and white, and this applies to Jim as well. He was made up of grey areas, as we all are, and this is what I have chosen to focus on. Of course if I were to attempt to write from Jim's perspective, it would be much more difficult, and probably impossible if I'm being honest. That's where my main character comes in. 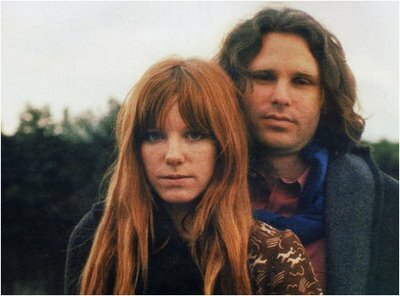 Caroline Andrews, while based on Pamela Courson, is much more than a fictionalized version of Jim's "cosmic mate." The story is told through her eyes, which in my opinion represents the way in which everyone who knew Jim attempted to understand him, get past the barriers that he put up and relate to him on a deeper level. So you see I am not really writing about what Jim truly felt and thought because no one but him could possibly know what that was. I am writing about what others took away from their encounters with him, and how he came across. That's not to say that I’m not attempting to be as accurate as possible. I would not have spent four years writing and rewriting, doing seemingly endless research, if I didn't want this to be as close to the truth as possible. There are so many false stories about Jim, the most obvious example being the Oliver Stone movie, that it sickens me. That's why I chose to write this in the first place; not only to better understand Jim, but to show people that he wasn't insane. He wasn't simply a drunk jerk who messed with people for the fun of it. He was multifaceted and his demons were merely one part of him. Naturally this affected my interpretation of other characters, like Ray for example. Rather than honesty and loyalty to Jim, fame and money is what motivated the band’s organist. Did this motivate me to write Ray as a less likable character and more of an antagonist? Absolutely. But what have I been saying throughout this whole thing? Everyone is made up of grey areas. Ray had good in him even if he was greedy. So bottom line: does writing characters as more in between and less extreme make for a less interesting and exciting story? Absolutely not. Jim's life was interesting and exciting enough without being embellished. What it does make for is a more believable, realistic story. And as they say: truth is stranger than fiction. WILD CHILD and REALMS OF BLISS are both available to read for free on wattpad. 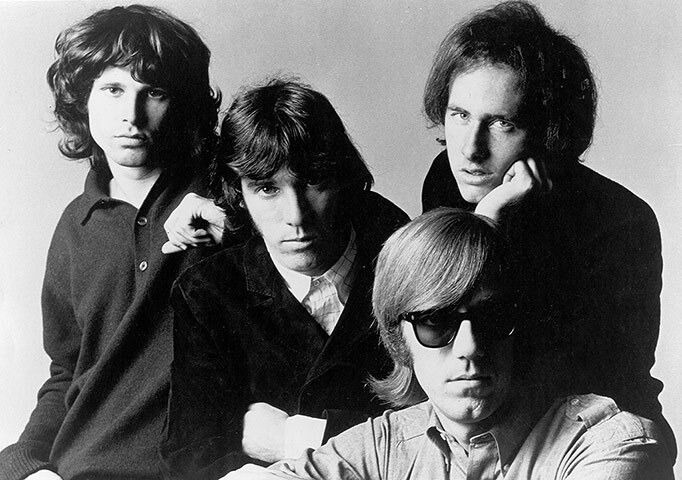 Even if you have no idea who Jim or The Doors are, you'll find James's work engaging and accessible. Have you ever written about a real person? Do you write Historical Fiction? What is the most challenging aspect of the research for you? Leave a comment and join the discussion! I think you mean Beatlemania! JIM Morrison is an icon - one of those who died at 27 so an enigma along with the likes of Jimi Hendrix, Amy Winehouse and Janis Joplin, Jeff Buckley etc.